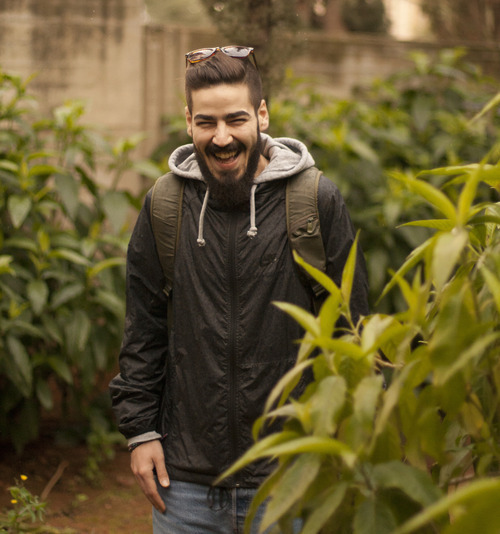 Alexander Katsaranis aka Nobi_4 hails from Athens Greece & knows how to hit the sonic sweet spot. 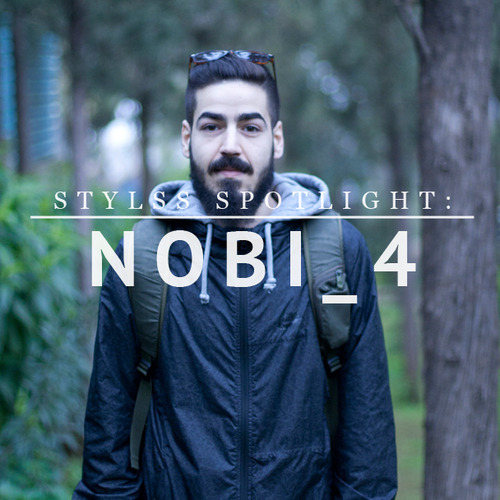 Nobi_4 brings a nuance to bass music that is rare to find. His prowess in crafting resonant sub bass frequencies is rivaled only by the maturity of his composition. 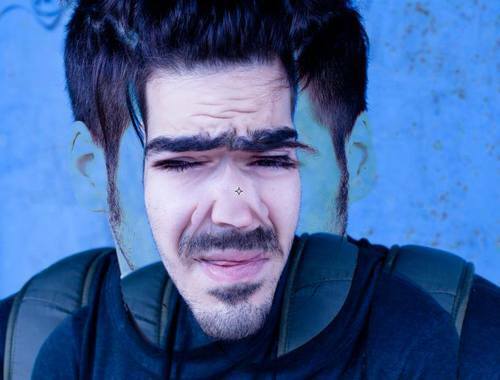 With a highly refined sound Nobi_4 uses dark etheric basslines, tight percussion, and an expert use of space to weave together an intergalactic tapestry within the mind’s eye. Yet all the while remaining decidedly human, with raw and sensual vocal tracks that set him apart from so many of his contemporaries. With this week’s spotlight interview, Alexander shares his stream of consciousness on music, inspiration, and his artistic standards. You’ve been with STYLSS from basically the beginning, appearing on the first Suicide Pact compilation & released your debut ‘◬ EP’ back in March of 2013. What does STYLSS mean to you? STYLSS is like a part of me and I feel like I’m a part of STYLSS as well. STYLSS is like an open-source art platform, everyone can (and kind of has to) contribute in order to move forward as a whole…. and by everyone, I don’t mean just the artists involved, but you and the listeners as well! Anyone can participate & get involved with STYLSS through the internet. STYLSS is everyone !!! I have to thank my older brother for that! He got me into electronic music when I was 6 years old. We were sharing the same room so the only access I had to music was through him and his tapes and CDs, releases from labels like SKAM, Planet-mu, Rephlex, Warp and many others. I do have to admit I feel so lucky and grateful for growing up being surrounded by that kind of music. I can’t really describe it to be honest. It feels kinda minimal, dark, sad and mean at the same time (that sounds a lot like me though). I Dunno, ‘Braindance’ is I think the most suitable term I’ve found to use for my music over the years. “Mount Sacral” which was my contribution to the final STYLSS Suicide Pact compilation but I also enjoy “Ephemeral feat. Shemelts” which the style differs a lot from what I usually produce. What kind of equipment/program/VST’s do you use to produce? What do you use when you play out live? I use a lot of software! I have Reaktor, Max-Msp, Battery 4 for beats and percs, Kontakt 5 and many others. I love experimenting with everything that comes out and I believe any VST, Synth or sampler has something really good to offer. For DAW’s I use Ableton Live 9 and Pro Tools. For playing out live, I use Ableton Live 9 and Traktor for my DJ Sets. How often do you release music? When is your next release? I’m kind of a perfectionist, I love doing all the sound design by myself, so not so often to be honest. I’m not a fan of using samples and presets and I don’t like forcing my productivity. What are your favorite artists/songs/albums? Pffff… There are honestly so many… I mean Artists from Autechre to Timbaland and from Nosaj Thing to System Of A Down… I really just love music despite the genres. James Blake – James Blake. If you had the opportunity to collab with any one artist who would? I would die to have an Audio/Visual project with Mr. Chris Cunningham. No need to answer why. I just love his aesthetic! It’s kind of inspired from Star Wars. Don’t ask why or how, but my girlfriend and I were probably high when we came up with it. haha! It also means “No Before”! What was the last live show you attended and/or what are your favorite artists/DJs you’ve seen live? XXYYXX and Giraffage last year in Athens, Greece was incredible. As regarding the best shows I’ve seen I would say James Holden, Harmonic 313, Autechre, Chris Liebing, Venetian Snares and Tommy Four Seven all rocked in a different way! If you could only listen to one artist the rest of your life who would it be and why? Autechre, they always move forward in a great aesthetic! What else do you do beside music? Do you have any hobbies? Day jobs? If you had 1000$ cash given to you right now, what would you do with it? A trip to U.S. to meet my homies from STYLSS! Love others & love yourself! That’s all!